Run your Hello World C++ program locally using the Terminal, Command Prompt, or Visual Studio Code. 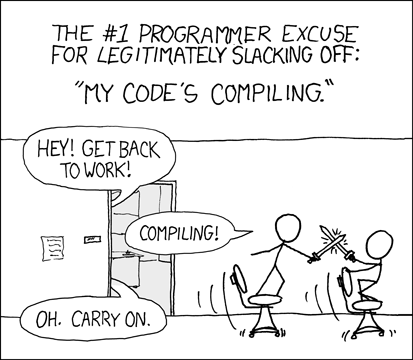 C++ is a compiled language. That means that to get a program to run, you must first translate it from the human-readable form to something a machine can “understand.” That translation is done by a program called a compiler. What you read and write is called source code (usually it’s in a English-like language like C++), and what the computer executes is called executable, object code, or machine code (a machine language). 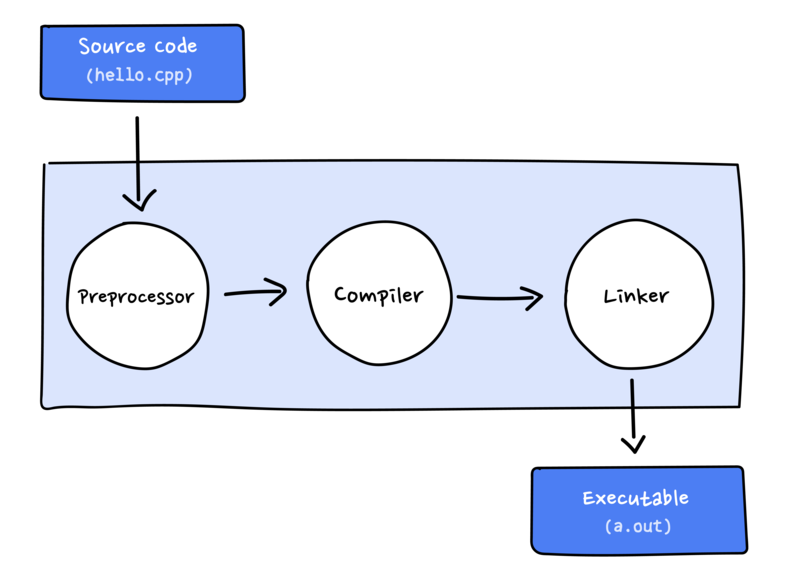 A compiler translates the C++ program into machine language code which it stores on the disk as a file with the extension .o (e.g. hello.o). A linker then links the object code with standard library routines that the program may use and creates an executable image which is also saved on disk, usually as a file with the file name without any extension (e.g. hello). The executable is loaded from the disk to memory and the computer’s CPU (Central Processing Unit) executes the program one instruction at a time. On the Mac, it’s called the Terminal. On Windows, it’s called the Command Prompt.